No matter the occasion or the number of guests, at some point, it seems everyone ends up in the kitchen. These spaces are naturally warm and inviting, but this feeling can be amplified with kitchen remodeling products from ProSource® of Dallas Market Center. 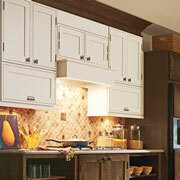 Choose from an assortment of cabinets, counters, faucets and sinks to make any dream kitchen come to life. In the kitchen, eyes are naturally drawn to the cabinets. They can define the room’s personality. Colors range light to dark, both painted or stained. Wood types include maple, oak, hickory, cherry and more, along with aluminum and stainless steel options. A plethora of choices awaits to suit your taste. 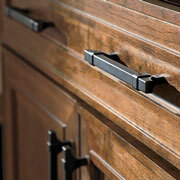 No kitchen cabinetry work is complete without the proper hardware. From the door to the pulls, handles, and knobs, you’ll want everything to match without issue. ProSource carries several hardware options from the industry leaders. 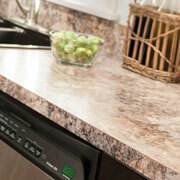 From granite to quartz to recycled materials, there’s a countertop at ProSource to match every kitchen’s personality. As one of the most used surfaces in the home, the kitchen countertop should be as durable as it is stylish. Work with our kitchen design experts to find the perfect fit for your remodeling project. 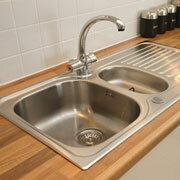 From cooking to cleaning, the kitchen sink is an integral part of any kitchen. Choose from sweeping selection of sinks in a litany of colors, materials, and designs. Choose from single, double, and even triple basin options to secure the perfect sink for your kitchen project. 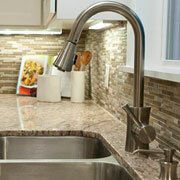 To add the finishing touch to a kitchen remodel, pick a stylish new faucet. At ProSource, you’ll find a visually appealing, as well as functional, kitchen faucet option that is sure to please.